The Construction of Ottonian Kingship : Narratives and Myth in Tenth-Century Germany » HEROTURKO.NET More Than You Need! German historianslong assumed that the German Kingdom was created with Henry the Fowler's coronation in 919. The reigns of both Henry the Fowler, and his son Otto the Great, were studied and researched mainly through Widukind of Corvey's chronicle Res Gestae Saxonicae. There was one source on Ottonian times that was curiously absent from most of the serious research: Liudprand of Cremona's Antapodosis. The study of this chronicle leads to a reappraisal of the tenth century in Western Europe showing how mythology of the dynasty was constructed. 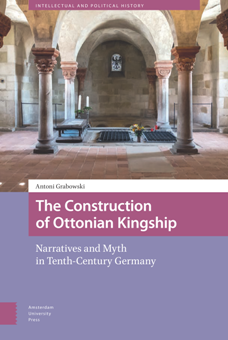 By looking at the later reception (through later Middle Ages and then on 19th and 20th century historiography) the author showcases the longevity of Ottonian myths and the ideological expressions of the tenth century storytellers. Dr Antoni Grabowski works at the Tadeusz Manteuffel Institute of History at the Polish Academy of Sciences. He is interested in the historiography of the tenth century, its later reinterpretations, and the use of historical sources in medieval narratives.